Darryl Gray made something abundantly clear at Friday’s ribbon-cutting ceremony at the Arch grounds: The diverse gathering of elected officials, candidates and St. Louisans wasn’t a do-over. 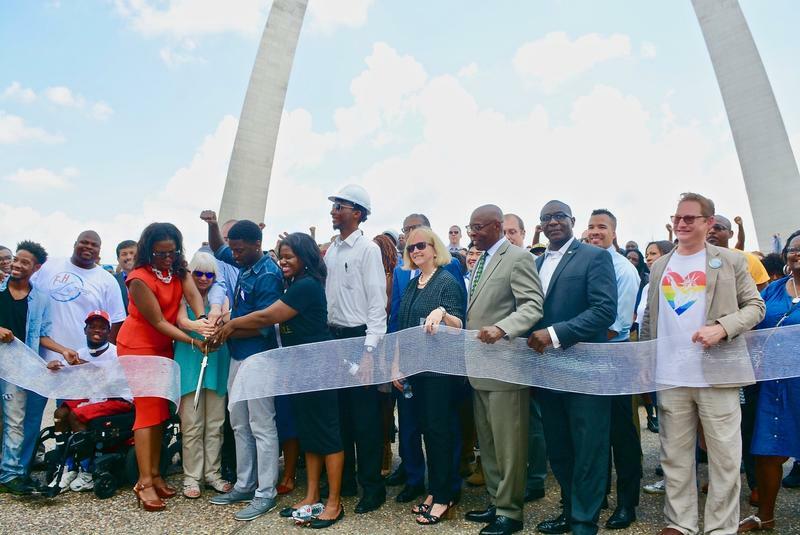 After a group of white officials cut the ribbon in front of the Arch’s new visitors’ center and museum sparked public outcry Tuesday, Gray emphasized that Friday’s event was aimed at showcasing St. Louis’ diversity — and sending a message that racial and ethnic minorities need a place at the decision-making table. Thousands of people are expected to march through downtown St. Louis to protest gun violence on Saturday. 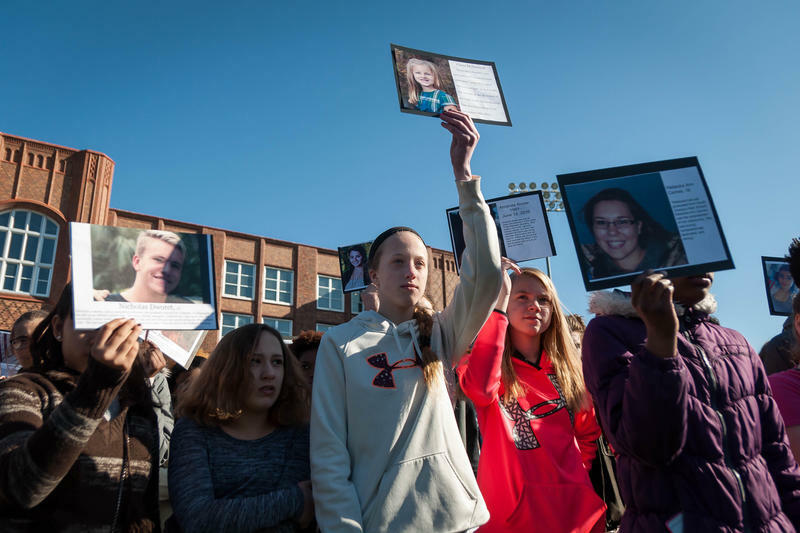 They’ll walk a 2-mile route with March for Our Lives STL, one of hundreds of student-led rallies planned for this weekend. Student organizers, survivors of gun violence and local leaders, including Rep. Bruce Franks, will speak at the event. City officials say they’re prepared to accommodate up to 10,000 marchers. 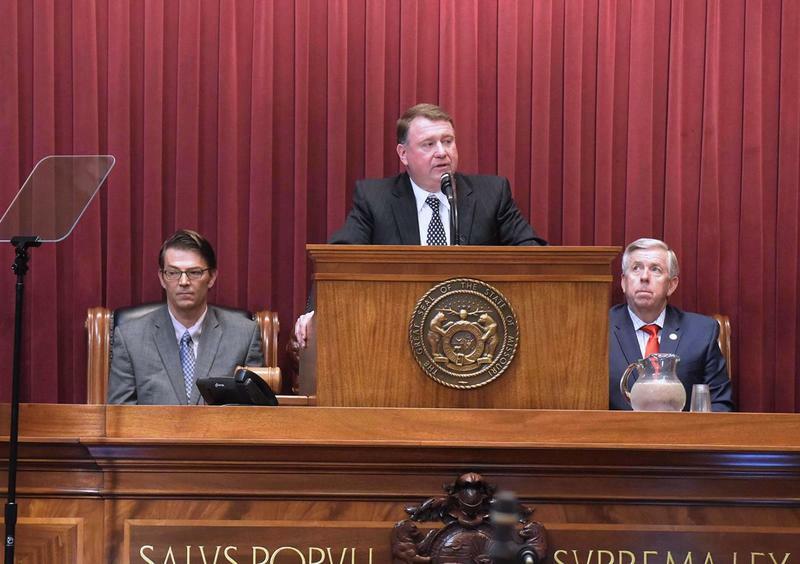 Missouri Chief Justice Zel Fischer wants the state’s lawmakers to help him expand the reach of the state’s drug court program. That’s one of several chants protesters have used in nearly daily events since Sept. 15, the day a St. Louis Circuit judge acquitted former St. Louis police officer Jason Stockley of first-degree murder in the shooting death of Anthony Lamar Smith. Activists have made it clear that economic disruption is a big part of their strategy. And they’ve put a number on it. 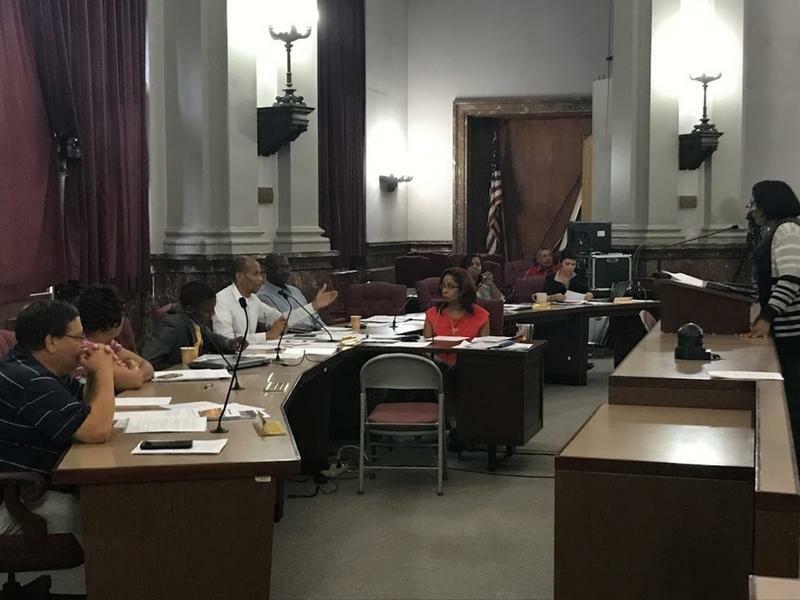 Rep. Bruce Franks, D-St. Louis, who has taken part in many of the demonstrations, told a crowd late last month the economic impact was $10 million to $11 million. Updated Oct. 4 at 9:55 a.m. with the number of arrests — The St. Louis Metropolitan Police Department arrested 143 people protesting Jason Stockley’s acquittal Tuesday night after they blocked a section of Interstate 64 in St. Louis. It’s the latest demonstration after a judge found Stockley not guilty of first-degree murder in the shooting death of Anthony Lamar Smith, on Sept. 15. 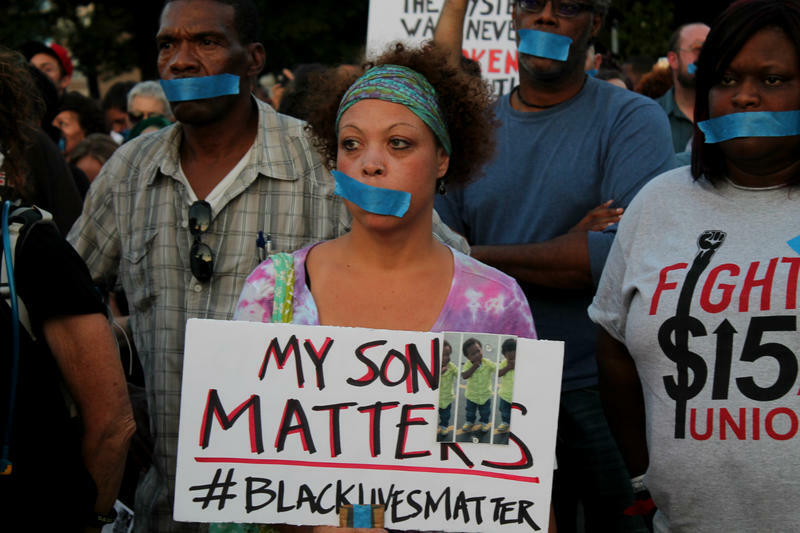 Demonstrators aredemanding police officers stop killing black people throughout St. Louis. 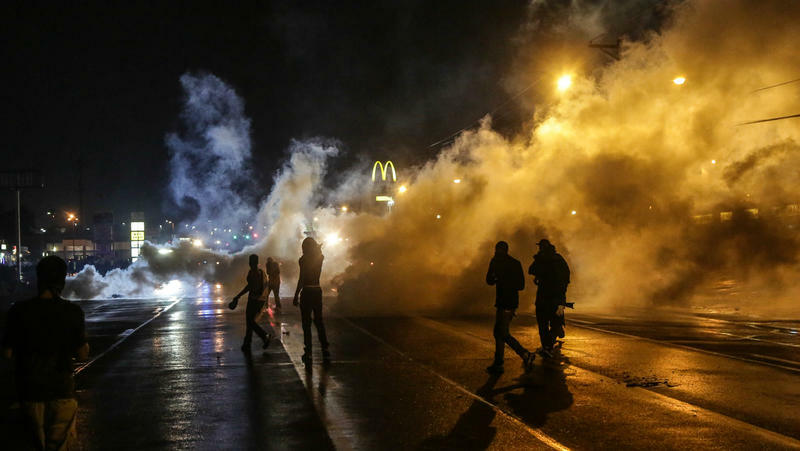 Protesters introduced a new demand Monday night: that St. Louis’ interim police chief step down immediately. Their call for Interim Chief Larry O’Toole to leave the department’s head post comes more than a week into daily protests against a judge’s decision to acquit former officer Jason Stockley, who is white, in the 2011 fatal shooting of Anthony Lamar Smith, a black man. 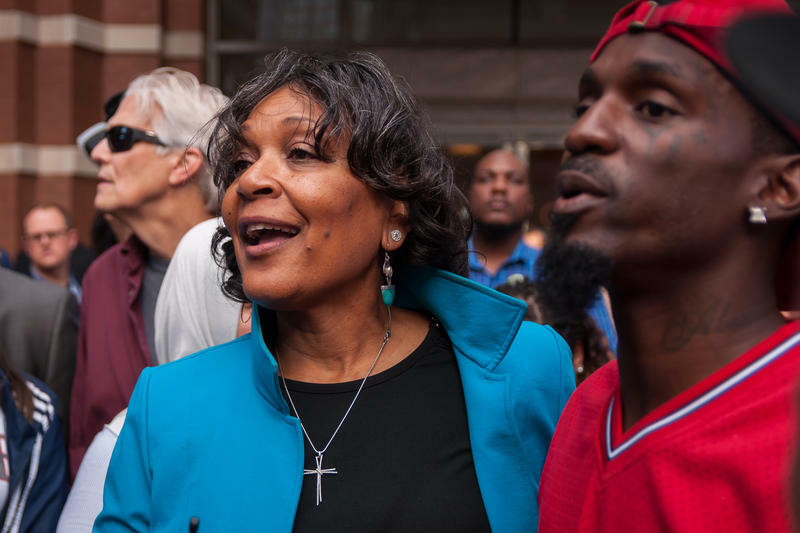 Updated at 8:15 p.m. Sept. 14 with Greitens' meeting — Though there’s no official word on when the Jason Stockley verdict will be announced in St. Louis, city and state leaders made it clear the time is soon. A few hours after activating the National Guard, Gov. Eric Greitens met Thursday night with the fiancee of Anthony Lamar Smith, a black man who was fatally shot by Stockley, an white ex-St. Louis officer, in December 2011. Earlier in the day, Mayor Lyda Krewson issued a video in which she said the city is preparing to quell any disorder. And the city and county police departments said they’d start 12-hour shifts starting Friday morning. Activists have promised days of protests if Stockley, who resigned in 2013 and now lives in Texas, is acquitted. 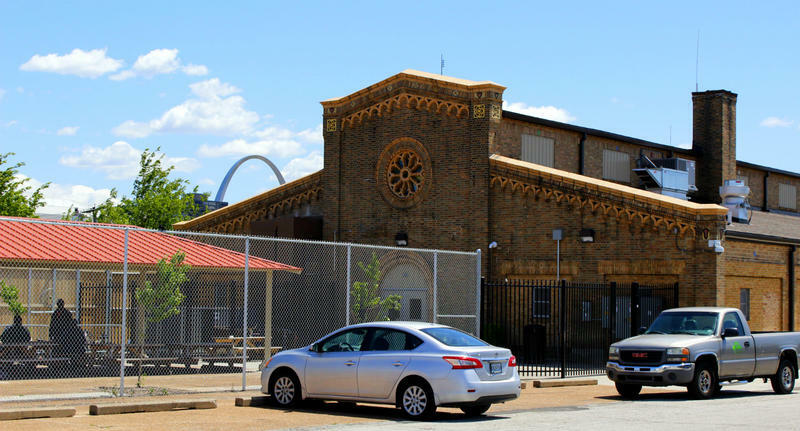 Federal investigators will begin looking into the only city-run homeless shelter in St. Louis this week. 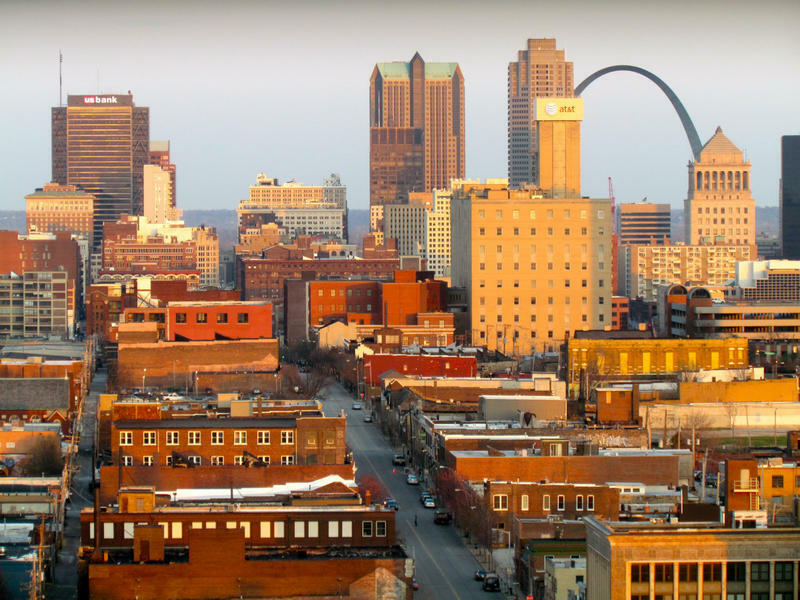 At issue is a fair housing complaint filed in April by two St. Louis-area state lawmakers, who claim the shelter’s location in the Carr Square neighborhood north of downtown is unconstitutional because it makes poverty worse in an area that’s already struggling. 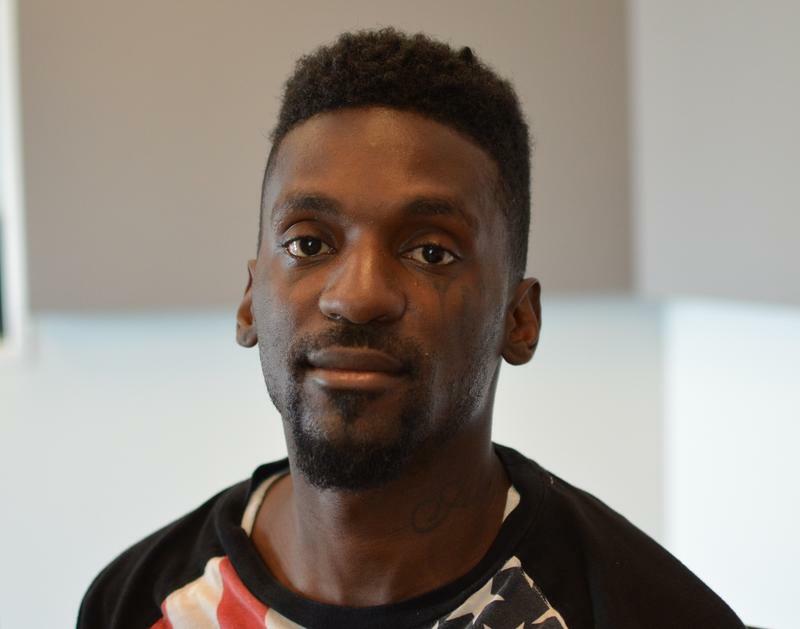 Democratic State Representative Bruce Franks Jr., representing District 78 in St. Louis, joined St. Louis on the Air host Don Marsh on Thursday to reflect on his first year as a state lawmaker. 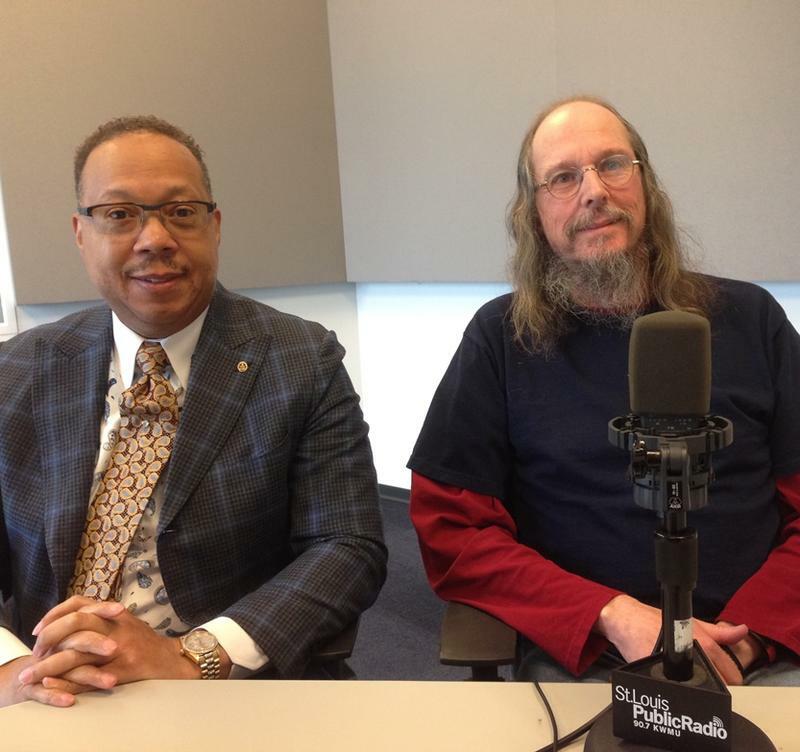 He also discussed the challenges facing his district and the state of Missouri going forward. After the difficult process this year of piecing together Missouri’s budget, lawmakers believe they’ve found a way to get more money for vital state services: Cutting tax credits. But a report from state Auditor Nicole Galloway’s office shows that even with big changes to popular incentives, it could be years before the state saves a significant amount of money.